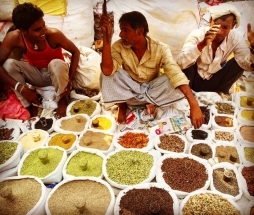 Selection of spices sold on the streets of the Old Delhi neighborhood. 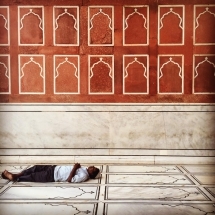 Delhi, India, 2015. 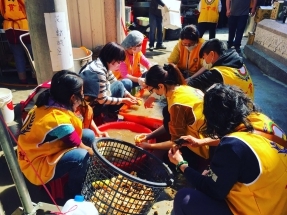 Volunteers preparing meals for those still searching for surviving relatives in the aftermath of 6.4-magnitude earthquake that struck southern Taiwan over Lunar New Year. Tainan, Taiwan, February 2016. "This is my home..how could I not help? Any little bit I can do to help, I will do." 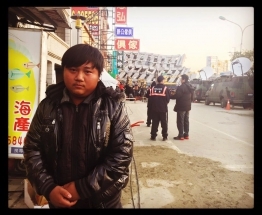 --Chen Zhifeng, 23, earthquake relief volunteer. Tainan, Taiwan, February 2016. 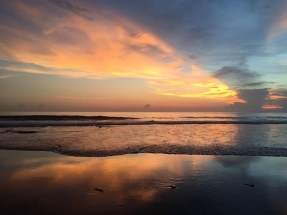 Sunset on Seminyak beach. Bali, Indonesia. March 2016. 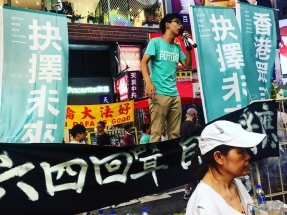 Joshua Wong, the teenaged student leader that led the 2014 protests in Hong Kong, speaking on the sidelines of the main Tiananmen Square massacre commemoration. Hong Kong, June 2016. 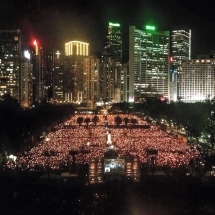 Crowds out for Tiananmen Square crackdown commemoration in Hong Kong in 2015, the first such gathering since the pro-democracy protests in fall 2014 shook the city. Hong Kong, 2015. Resting at Jama Masjid. Delhi, India. October 2015. 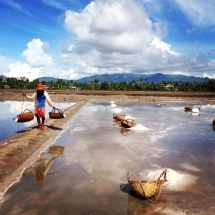 Working the salt fields. 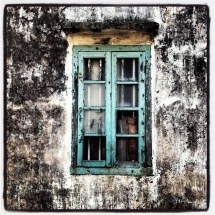 Kampot, Cambodia, 2014. 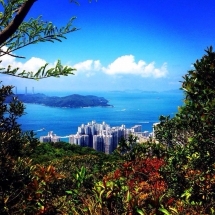 Urban hiking. Hong Kong, 2015. 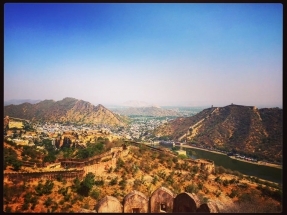 The landscape spotted from Amer Fort near Jaipur, Rajasthan, India. October 2015. 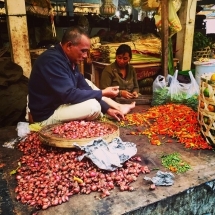 Selling spicy peppers at Pasar Wisata Pancasari, a local market in Bedugul. Bali, Indonesia, 2016. 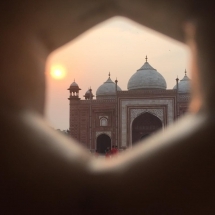 A sunrise view near the Taj Mahal. 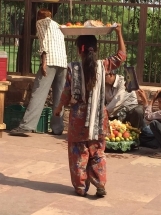 Agra, India, October 2015. 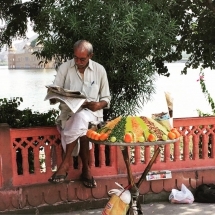 Snacks vendor by Jal Mahal, a floating temple in the middle of Man Sagar Lake. Jaipur, India, 2015. 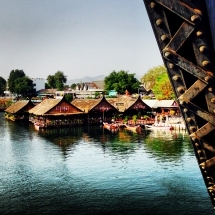 View from the bridge over the River Kwai. During WWII, the Japanese used Allied POWs to build a railway from Thailand to Burma to transport supplies to troops. So many laborers died under the appalling conditions that the bridge later became called the "Death Railway." Kanchanaburi, Thailand, 2014. 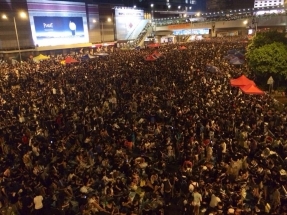 The pro-democracy protests that rocked Hong Kong in 2014 snaked through some of the city&#039;s busiest districts. Hong Kong, September 2014. 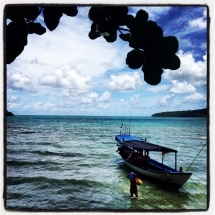 Pulling up into Koh Ta Kiev, an island off the coast of Sihanoukville, Cambodia, 2014. "I love my home, I act for my city." 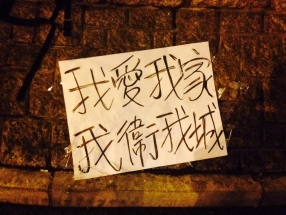 One of many protest signs and slogans that dotted the streets of Hong Kong when pro-democracy demonstrations snarled through the financial centre for months. Hong Kong, 2014. 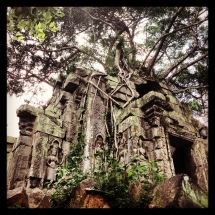 Beng Mealea, Angkor temples. Siem Reap, Cambodia, 2014. 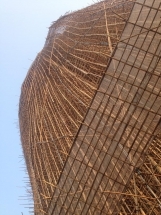 One of the city's many quirks: bamboo scaffolding for even the most high rise construction projects. This one was attached to the Hong Kong Convention and Exhibition Centre. Wanchai, Hong Kong, 2014. A window into an abandoned home. Hong Kong, 2014.